We don’t know. We have an increasingly clear picture of the distribution of hedgehogs in Britain, and even how it may be changing in response to habitat loss and an increase in the number and distribution of badgers. Putting a number on the hedgehog population is a deceptively complicated task and one subject to so much potential error as to make it almost not worth trying. The best guestimate we have is that published by the British Hedgehog Preservation Society and People’s Trust for Endangered Species in 2015, which suggested there are fewer than a million hedgehogs left in the UK; down from, perhaps, 36 million half a century ago. Honestly? Nobody really knows. Distribution is relatively easy to assess; hedgehogs are either present in an area or not. Trying to come up with an actual number is, however, much more complicated and, in his New Hedgehog Book, Pat Morris writes in detail of the problems associated with counting hedgehogs. It’s logical that we can’t physically count every single hog in an area, so biologists must get creative and work out how to count some of the animals and extrapolate up to make a stab at the population size. Morris notes that mark-recapture procedures—a standard method for estimating animal populations, which involves catching, marking, releasing and recapturing individuals—doesn’t work for hedgehogs because you can’t physically catch enough of them, and some are highly nomadic. Another method is to use the known territory size of the species in question and work out how many areas of that size would fit into your survey area; hedgehogs aren’t territorial, so this method doesn’t work either. So, with all the problems associated with measuring hedgehog populations, how can we go about making an estimation? The short answer is that it is largely an extrapolation of local population studies. Until recently so-called “gamebags” (i.e. animals killed by gamekeepers) had been widely used to estimate hedgehog numbers, and a reduction in the number of hedgehogs killed was considered to reflect a decline in the hedgehog population. These data must, however, be interpreted with caution because they represent not only changes in absolute numbers, but also changes to the “pest status” of the animal in question. It is possible, for example, that a drastic reduction in catches of this species—as recorded by Steven Taper in a fascinating publication by the Game Conservancy Trust in 1992—reflects either a shift in the focus of keepers (i.e. gamekeepers are concentrating on “bigger pests”, such as corvids or foxes), or that since its inclusion on the Wildlife and Countryside Act, it is illegal to trap and/or kill a hedgehog without a licence, so trapping may have changed, or any that are caught may not be formally recorded. Hence such data may not provide a reliable picture of what is happening, or even has happened, to hedgehog populations in Britain. More recently, based on trends from several mammal surveys, The State of Britain’s Hedgehogs 2015 report, published by the People’s Trust for Endangered Species (PTES) and the British Hedgehog Preservation Society (BHPS), suggested that the population estimate for hedgehogs in Great Britain in 2010 was less than a million. To the best of my knowledge, there have been no more recent attempts to estimate the number of hogs in the UK, but the 2015 report suggests that since 2010 the population has continued to decline; overall, down at least 30% in urban areas and 50% in rural areas since 2000. 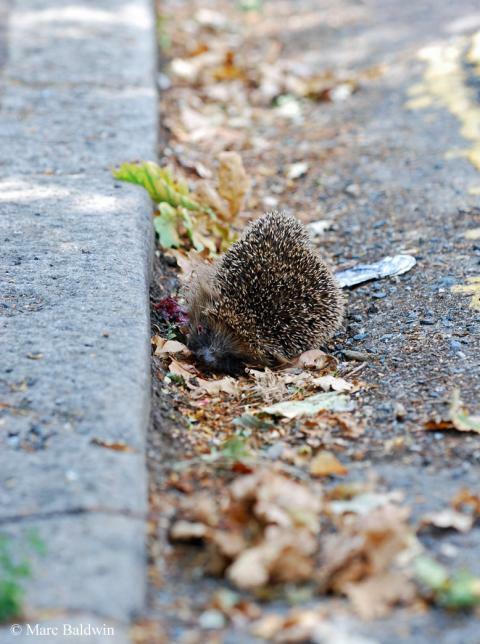 The most recent report, published in January 2018, notes a continued decline in rural hedgehog road casualties into 2017, while suggesting urban distribution may also be changing. At the smaller scale, local population studies (consisting of tracking hedgehogs) have led to highly variable estimates of hedgehog abundance in accordance with the location and habitat type of the survey plot. For Britain, Nigel Reeve summarises the studies in his book, Hedgehogs, writing that densities vary from approximately one hog per four hectares (about 65 in one sq-mile) in rural Oxford and one per three hectares on traditional farmland, to almost one per hectare (so, one square-mile could, on average, contain nearly 260 hogs) on a south London golf course. In The New Hedgehog Book, Pat Morris suggests that one per hectare is probably an accurate estimate. So, as we can’t yet get a good grasp of the number of hedgehogs in Britain, the best we can do is try and accurately map their distribution in the country. We do this using a variety of surveys that call on what has become known as “citizen science”; where members of the public are asked to submit sightings. 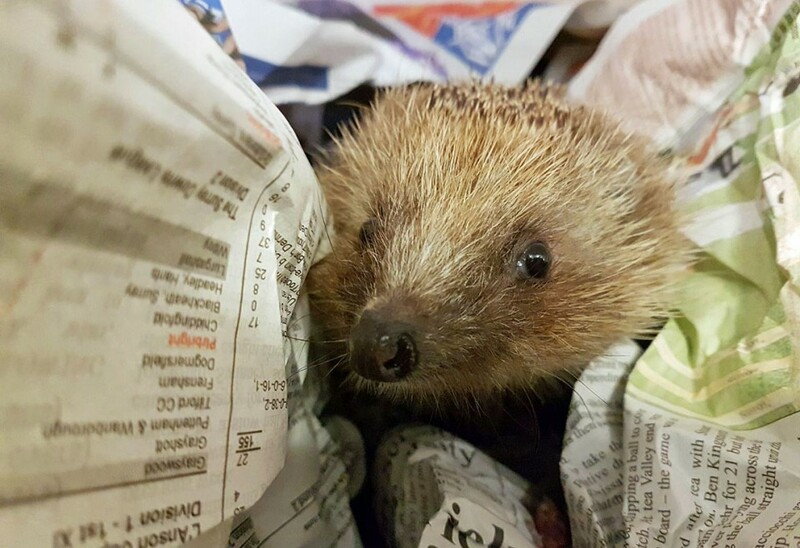 In 2005/06, for example, a joint venture between PTES and BHPS called HogWatch asked participants when they last saw a hedgehog and whether they though the species was declining – they collected tens of thousands of records from across the country. As well a building up a picture of hedgehog distribution, almost half the respondents said they thought there were fewer hedgehogs around now. Public surveys are often pooh-poohed as being unscientific and in some cases this may be true; but for the time being it is the only way we have of quickly and cheaply covering a large area of the country and, as methods improve, they are now starting to generate some robust data. 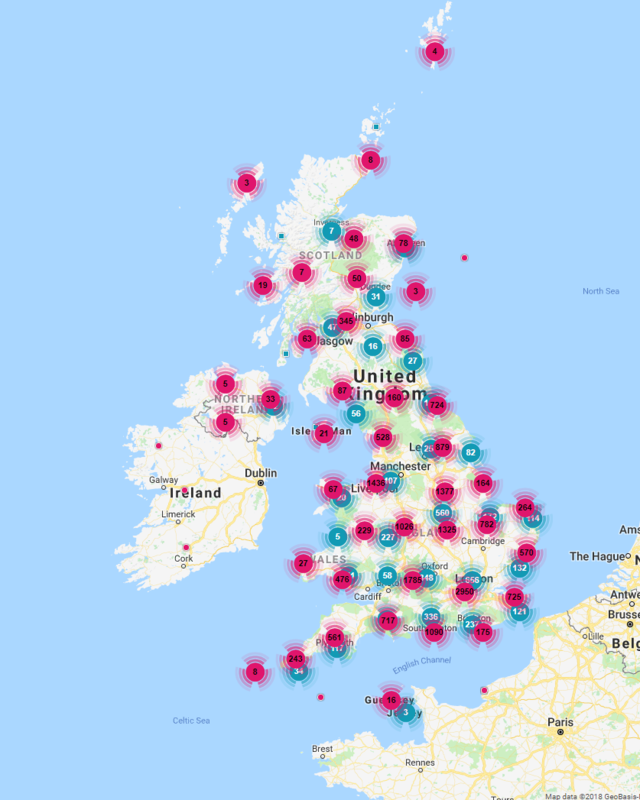 At the beginning of March 2018, PTES and BHPS’s Big Hedgehog Map had received 19,421 hedgehog records and, when plotted geographically, the data suggest hedgehogs are still widely distributed in England and Wales, albeit that there are distinct absences in parts of north-west England. As expected, given the habitat, much of Scotland is also devoid of reports. We cannot read much into these raw data, but it will be interesting to see the distribution once the unavoidable biases of this kind of survey involves have been accounted for. One could be forgiven for questioning whether these surveys give an accurate picture. After all my parents, for example, live in rural Cornwall and have hedgehogs visiting their garden on and off throughout the year. Were it not for a certain nagging son harassing them to look around for hedgehog droppings and crawling around in their garden at night with a torch (which I must say their neighbours took with excellent humour! ), however, I doubt they would even have known the animals were there. Also, the only encounters they have ever had with the hog(s) is when their dog found it in the garden late in the evening – without him (or me) any survey would suggest hedgehogs are absent from their garden. The Mammals on Roads survey is subject to similar problems; animals being overlooked on certain roads, in certain conditions and during the nine months when the survey isn’t conducted. Additionally, it has been suggested that hedgehog skin is pretty tough and stands up better to the repeated battering of tyres, so a hedgehog carcass may stick around for longer than other species, and may lead to a perceived increase in the number of hedgehogs killed on roads. 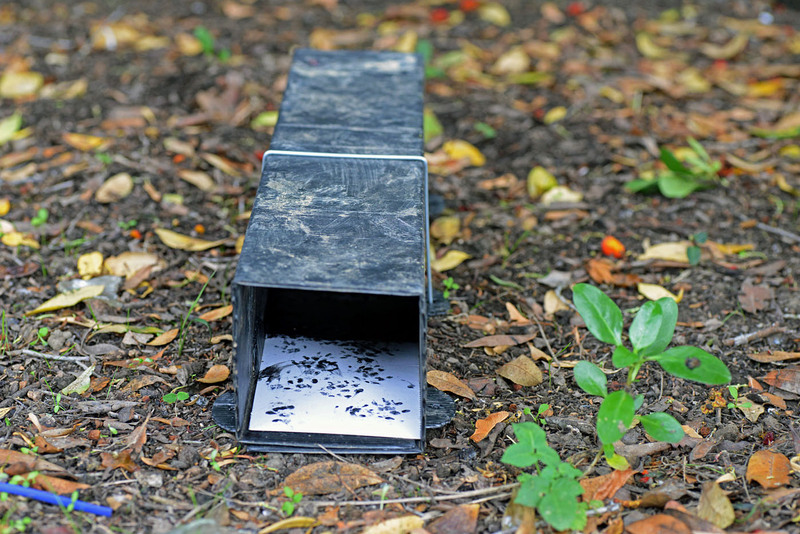 The key to addressing some of these issues is not to rely on observation alone, particularly when dealing with small nocturnal animals that tend to stick near cover. We must use all the tools in our arsenal, including field craft (looking for droppings, feeding signs, nests, spines, etc. ), footprint tunnels and trailcams. We, for example, seldom actually see hedgehogs in our garden and only occasionally find their droppings on the lawn; but they quite frequently get picked up by the trailcam. Members of the public must be encouraged to help in surveys wherever possible to increase our understanding of mammal populations. Once we know where hedgehogs are likely to be found, we can look more deeply to try and get a handle on numbers and we can work out what makes those areas hog-friendly and others less attractive to Tiggywinkle.